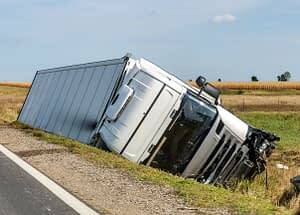 Due to their sheer weight and size, large trucks such as tractor trailers, delivery trucks and other commercial vehicles can cause catastrophic injuries and extensive property damage. For more than 40 years, our truck accident lawyers at Krivitzky, Springer & Feldman have helped victims injured in all types of motor vehicle collisions recover maximum compensation for damages such as pain and suffering, medical expenses, lost wages and other damages. Inclement weather, which can make it difficult for drivers to drive safely. Ice, snow and rain often cause fatal multi-vehicle pileups on roadways. Construction on roads and highways, which may be a factor in a collision caused by a commercial vehicle, especially if the truck operator is driving too fast. Poor road conditions, such as potholes, narrow shoulders, unpaved roads and other defects, which can make driving a big truck particularly hazardous. Improper training, which leads to drivers who lack basic skills such as practicing safe defensive driving and handling the vehicle properly when navigating hazardous conditions or winding roads. Improperly loaded or overloaded freight, which can cause cargo to become loose and fly onto the road. It can also lead to tire blowouts, jackknifes and rollover accidents. Mechanical malfunction and inadequate maintenance, which are causes of serious accidents every day — worn brakes and tires, broken lights and other defective equipment are a recipe for disaster on the road. All truck inspections, repairs and maintenance must be properly documented. If a driver or company fails to do this, they may be liable for any injuries caused by faulty equipment. Negligent driving practices such as speeding, distracted driving, driver fatigue, tailgating, road rage and driving while under the influence of alcohol and drugs, which can result in severe injury and death. Blind spots and wide turns, which give truck drivers limited visibility of other vehicles. It’s always a good idea to keep a wide berth when passing large trucks on the highway. Never try to pull next to a truck in order to turn first. Keep plenty of following distance when driving behind a big rig or other commercial vehicle. Under ride accidents (becoming lodged under the truck) are often fatal. From 18-wheelers to garbage trucks, catastrophic accidents can be caused by any type of large commercial vehicle. Our experienced truck accident attorneys explore all options for recovering compensation, which may mean taking legal action against the truck driver who caused the crash, the company that owned the truck, maintenance and repair providers and vehicle parts manufacturers and vendors. If you’ve been injured or have lost a loved one in a truck accident, contact us online or call our Jersey City office at 201-798-2711 or the West Milford location at 973-874-0556. Our truck accident lawyers at Krivitzky, Springer & Feldman offer evening and weekend appointments and home or hospital visits throughout Northern New Jersey. Se habla Español.